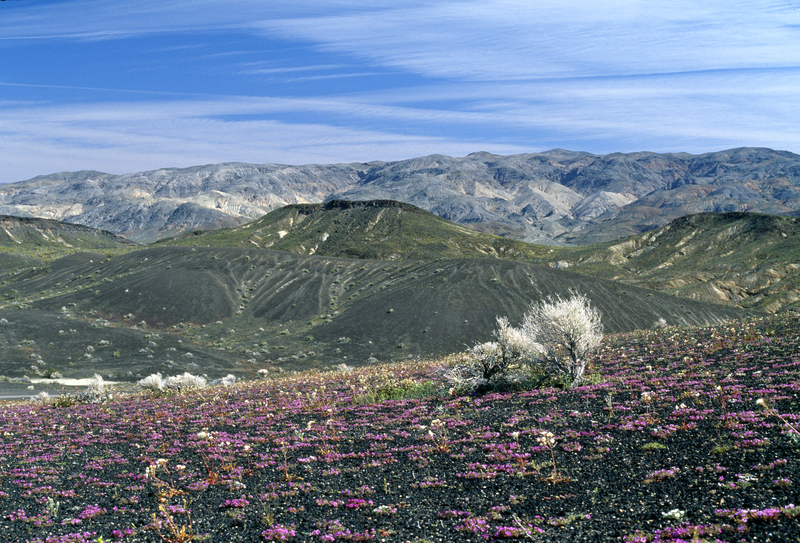 It is the beginning of Spring and we leave on Spring Wildflowers and Death Valley trip on Thursday April 21 through Sunday April 24. A four day photography trip. 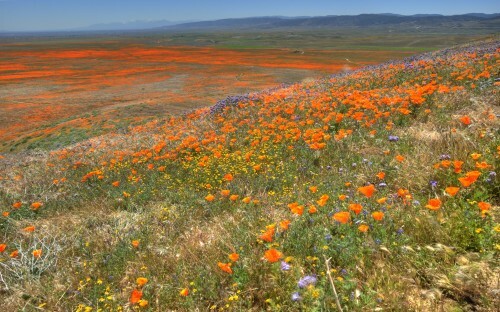 The focus this year will be to start driving early so we are at the flowers after noon, We’ll have two areas of flowers to explore, The Gorman Hills Flowers near the Grape Vine and the world famous Antelope Valley Poppy Reserve near Lancaster. After flowers we will continue to Lone Pine and the Alabama Hills Thursday evening and Friday Morning. 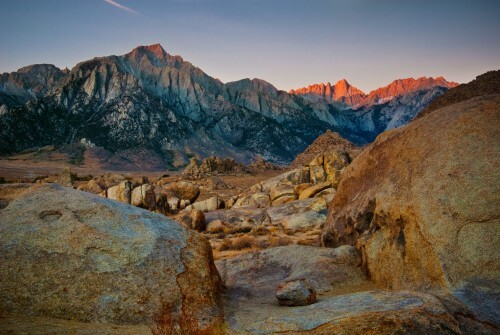 We plan on doing some night photography with stars and the mountains of Lone Pine and Mt Whitney as back drops. Perhaps we will shoot at The Mobius Arch. This requires a flash light and a tripod as well as any light painting tools you want to play with. We will have a full moon on this trip. 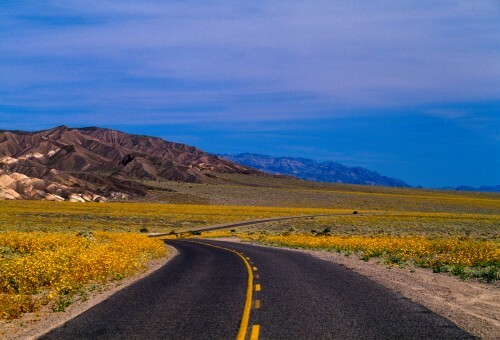 Then we will move over to Death Valley and hopefully stop at the Mesquite Flat Sand Dunes near Stovepipe Wells to catch some remaining morning light. Then we will move down towards Furnace Creek area with a nice lunch. We will explore the Devils Golf Course and Badwater Basin. 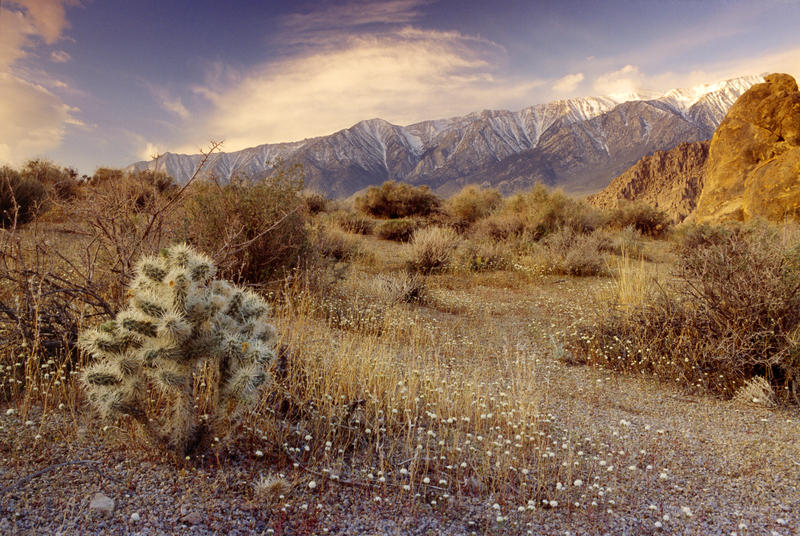 Then up to Zabriskie Point, we can shoot the sunset or go back to the dunes for sunset. We will constantly be evaluating our plans to fit the groups needs and get the best photographic experience. On Saturday we will finish up on Death Valley. With our final Death Valley sunrise at the dunes or Zabriskie Point, then off to Ubehebe Crater. After we are done with Death Valley we will set out towards Ridgecrest stopping at the Trona Pinnacles along the way. That’s the trip in a nutshell. To go out and have four days of taking great shots. What’s Included? We will use our 20 plus years of experience of the area to put you in the right place at the right time to create images to be proud of. We will suggest shooting possibilities in each area and true creativity is encouraged to blossom. We will not give assignments (unless you ask). 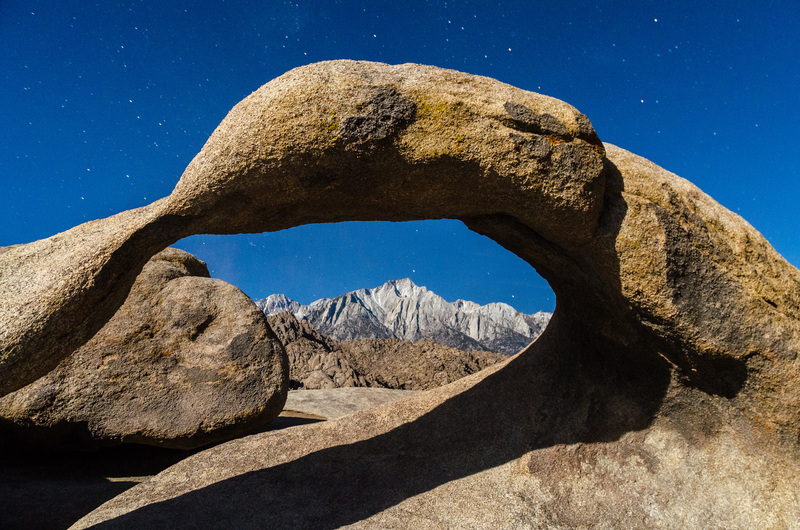 Our goal is to have fun and create the best images our creative spirit and mother nature can provide us. Speaking of fun it is fun to ride share. So we will encourage ride share connections. Not Included. Transportation, lodging, meals and park fees are not included. Limited Space Available– The workshop is limited to no more than 8 people. That way the group size isn’t a huge factor and there is plenty of time to explore without others. Any Questions? You can sign up by using the link below or contact me Email Us.